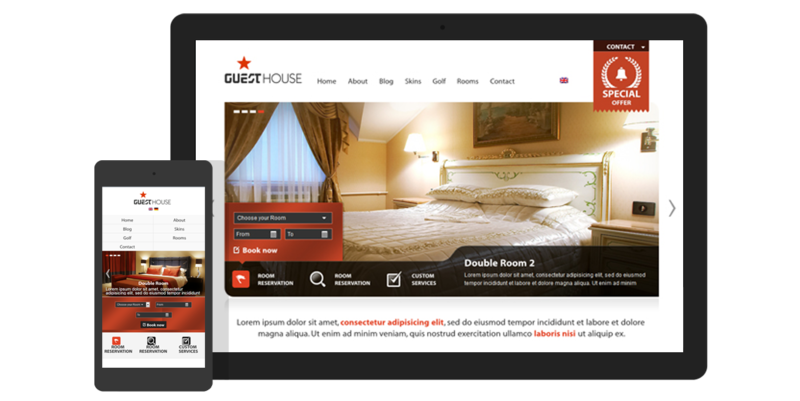 Guesthouse is a specialized WordPress theme for Hospitality Sector and Sport Centers or any other website that needs simple enquiry form. You can use it for any Hotel, Bed and Breakfast, Guest House, Hostel, Campsites or any Sport Center offering Golf, Tennis, Squash – anything you can think of. - Fix: Solved problem with multi-site installation with overriding settings in generated CSS for given theme from another site. 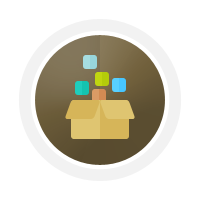 LESS is now compiled to CSS file stored in wp-content/uploads/<sites>/<id>/css/<theme> directory. - Updated twitter widget to work with new API 1.1. See our FAQ for help with setting up. - Ability to set up Sports centre website, sports reservations that can be used for golf, tennis, squash, etc. - Sports module will work together with Rooms module. - Standard slider on any page. - Many small or advanced improvements based on previous customers requests. - Important note: Local &amp; global slider settings will be reset after theme upgrade. Sorry for any inconvenience caused. Ability to set up Sports center website, sports reservations that can be used for golf, tennis, squash, etc. Many small or advanced improvements based on previous customer requests. What is really sweet both Rooms module and Sports module can be renamed directly in our admin panel therefore you can use this theme for ANY simple reservations. Special admin section to create hotel rooms. 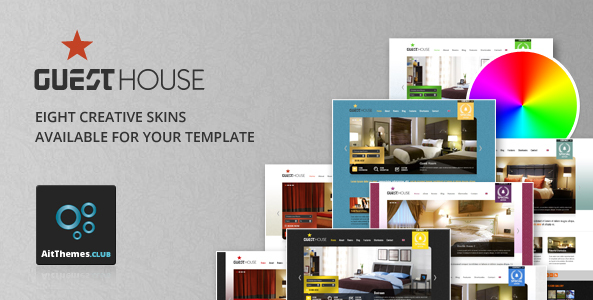 Guesthouse Wordpress Theme will automatically create special page for each room and add in room into slider. Simple order form – customers will be able to send enquiry form to the hotel. Everything is styled – tables, headers, paragraphs, images, lists, etc. You won’t need to fix it yourself! You can change theme look & feel simply by activating skin you like. We’ve created a set of nicely styled skins you can download from our website. You can also create your own skins, save them and use on different website you’re making. Unique and powerful tool you can use only in Ait WordPress Themes. Theme has adaptive design that looks perfectly on major mobile devices and tables. Theme will adapt to your smaller screen automatically. Theme is only styled for mobile phones, it is not responsive all the way down to mobile. Each theme includes specially developed features and elements for it's specific segment. Apart from that you will get all amazing business features you can use anywhere on your website. Have a look below for more details. Simple to use slider is included right in the theme. 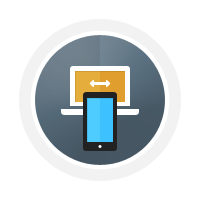 You can upload background and foreground images, configure transition and other settings. You can create different slider presentation on different pages. 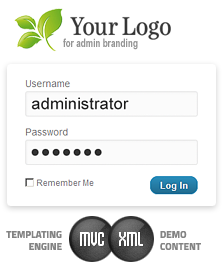 Easy and user friendly admin panel allows you to do a lot of customizations without knowing any HTML or CSS. 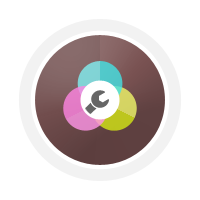 Colors, images, widgets, sliders, portfolios, galleries,... almost everything can be customized and configured via admin panel. Final website is in your hands. Many many ready to use shortcodes for professional looking pages in no time. Shortcodes generator can be launched directly from WYSIWYG editor. You can use them on any page to create interesting content. Demo XML content, PSD files and documentation. Everything is as part of the package. 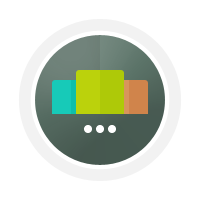 Admin branding section allows you to upload your own logo, colors & texts into wordpress admin. Individual admin options can be turned off using config.php file including AIT Dashboard which makes the admin White Labeled. Theme comes with 1 year customer support and after purchase service. Purchase this theme with confidence knowing that we’ll always be here to answer all of your questions. You'll also get all updates for free 1 year after your purchase. Dummy Data for this theme is missing. The documentation for this theme is also out of date. The documentation talks about ready to use xml content to import but no such files exists in the package. Further there is no way to make the website look like what the demo’s are without dummy content and graphics. thanks for your message. Please, kindly post your theme issue at our dedicated support forum, which enable answer you to most efficiently. for me that I purchased one of your theme ( guesthouse) of ennvato market now that have been removed how do I download the updates here on aittheme club? Is compatible with Wp 4.5? definitely yes. We kept all of our products compatible with the latest versions of WordPress as well as with a 3rd party plugins that are integrated in our products. I purchased Guesthouse theme from ThemeForest a couple of years ago and now I can’t find it anymore there to get the latest version. I don’t think I have to pay again to get updates, do I? because other themes on ThemeForest give lifetime updates (without support). – access to premium customer support, where our Ait-Themes team is ready to help your with any theme-regarding issue: Customer Support is provided Monday to Friday from 8am to 5pm Central European Time. we have the right to enforce against you the terms of the license that you have acquired from an author. It is important that you understand the terms on which you are making a purchase. Please take the time to review this section carefully. I hope I have put your mind somewhat at ease. If you have any more questions feel free to contact our Ait-Themes Team. Hello, I have the same problem! I simply can´t get the theme updated (I bought also a couple of years ago via themeforest as well). Does that mean that I´ll have to pay 50 bucks again!? Living in Brazil and being paid in Brazilian currency, that´s totally out of my league now… My version is 2.2.9, so it is quite outdated, not to mention the WP version. Can you at least provide me the last version made available through themeforest??? it is a similar situation and i am very sorry for that. Moreover, we do not keep available the previous theme version nor the old one from themeforest. If we upgrade them to your newer current version is there any issues we should be aware of? Will the content work after the upgrade without issue? thanks for asking. Indeed, obviously there are no issue with theme updates and its content. Anyhow, before performing the update, please do not forget back up your website. 2.) If we update WordPress to 4.8, will it break the entire theme? Our client hasn’t updated since 2012 and is still running 3.2 and we’re hesitant to update if the entire website dies. thanks for your questions. First of all we would recommend to back up client’s website. There is no such an option to update once there is no an access to theme updates (not support forum). In fact, there were some significant updates (security, etc) and you should perform update on hosting with copied the current theme with the content (perhaps using the localhost). In fact, we have no negative feedbacks from our clients that have encountered such a similar issues like your client. I checked the theme’s website and found that version 2.48, released in April 2015, contained an “important security fix” – I assume it was a patch for Timthumb, whose vulnerability had been publicized in late 2014. A later update, in August 2016, removed Timthumb entirely. As I purchased your theme via themeforest.net which is no longer available, can you please email me a link to download the latest installable version? Theme is now available only at https://www.ait-themes.club/wordpress-themes/ as the theme has been removed from Themeforest market place. If you plan to update theme you have an option to subscribe for any of available packages or products in our club -> it’s possible when you are logged in our system. After subscription you can download new updates when you are logged at: https://system.ait-themes.club/join/tf. You’ll get all the benefits from our services – getting free updates, access to support forum, use theme for unlimited domains or projects. You can search through our knowledge base, access online documentation and video tutorials. A common way we provide communication /in English/ to our audience can be performed by posted pre-sale questions via comments or private emails only on http://www.ait-themes.CLUB. To all of our subscribers we offer an access to our dedicated support forum where we are ready to help with any theme kind of issue during website building. Customer Support is provided Monday to Friday from 8am to 5pm Central European Time. The ticked system offer ajax search during writing the words throughout our knowledge base and documentation. We bought this theme 6 years ago and are currently running version 2.0. We’re not sure why, but the site is currently displaying a blank white page and I can’t use WordPress to publish anything, or change layout etc. I know that WordPress is currently on 4.9.5 but we need this resolved urgently. thanks for your message. You should update your website also wiťh the latest theme version that is v2.57. The old previous versions are not more available for the market as they are not supported and that’s why you have encountered the issue with white page etc. To get the access to the latest theme version you should consider to purchase/subscribe – you’ll get an access to support forum. I need a Template like GuestHouse but it must have a Mobile Template Too not only a Adaptive Design. I need to update the theme because since the firefox update, there have been some display bugs. so I registered your product on your site but I do not see how to update. Thank you for your themes that are really very well done and very professional. If you plan to update theme you have an option to subscribe for any of available packages or products in our club -> it’s possible when you are logged in our system (GDPR requirements are introduced too). After subscription you can download new updates when you are logged at: https://system.ait-themes.club/join/tf. You’ll get all the benefits from our services – getting free updates, access to support forum, use theme or plugin for unlimited domains or projects. You can search through our knowledge base, access online documentation and video tutorials. – after the period of 12 months you can still continue using our products – no restrictions, once you are intended to get an access to further product updates, you should consider renew or prolong your membership after 1 year for the same price. 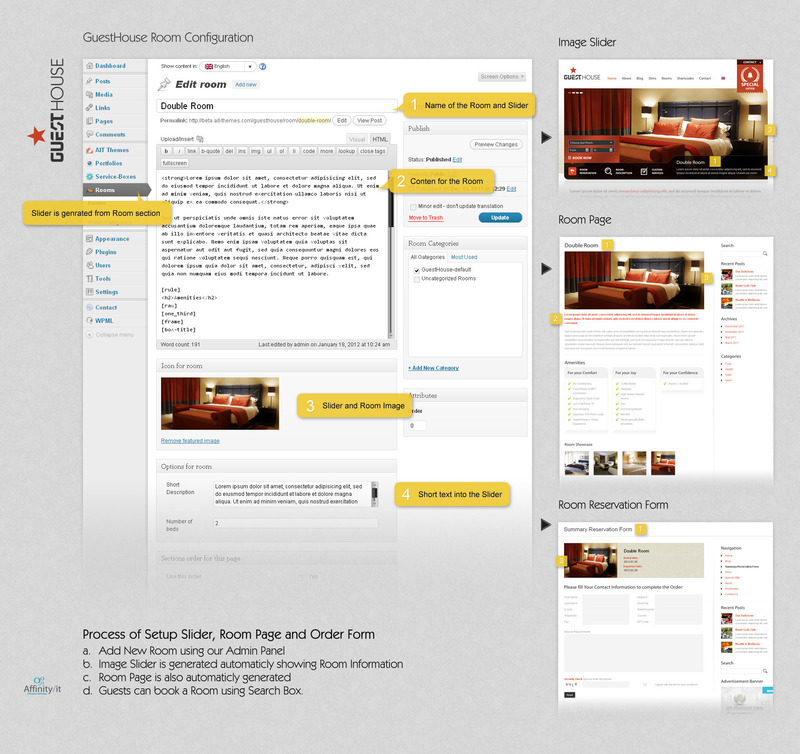 I am confused with your documentation for Guesthouse theme. I am looking at your page https://preview.ait-themes.club/theme-fw1/guesthouse/about-site/premium-admin-panel/ and picture 4 of 9 which shows the AIT Themes > AIT Dashboard picture that seems to be non-existent on our version of Guesthouse. In fact there is no dashboard AIT Themes menu item on the Dashboard, only a Admin Theme menu item that has no Dashboard submenu item. Is your documentation outdated or is something wrong with our Guest house installation? In fact there is just a small difference between the documentation and the admin panel that there is the main folder “AIT Themes” renamed to “Theme Admin”. Everything should working correctly. Anyhow, should you encounter any theme-regarding issue, feel free to post technical question directly in our dedicated support ticket system. Please login into your account at https://system.ait-themes.club/support/. I’m currently using the 1.3 version of guesthouse, what are the risk/ problem i might have if I update the theme to 2.6. Currently i have an “Error thrown Call to a member function options() on array” on my site after updating wordpress. thanks a lot for contacting us back. Please provide our Ait-Themes team with AIT SysInfo report: https://www.ait-themes.club/wordpress-plugins/ait-sysinfo/. 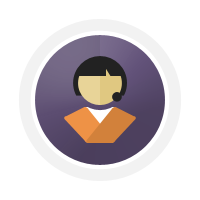 Our technicians are ready to help you with any theme-regarding issue: Customer Support is provided during working days from 8am to 5pm Central European Time. If you have not created Ait Themes Club account yet, please use this form: https://system.ait-themes.club/join/tf and post your technical question directly in our support ticket system. Please log in to your account https://system.ait-themes.club/support/ . In general support covers mainly finding of solutions for problems in theme and help users use the product, if there is a bug we’ll fix it as soon as possible. Unfortunately we are not capable working on user’s custom websites.